Manulife Financial Corp. (TSX:MFC)(NYSE:MFC) is riding on some huge momentum from last year. The U.S. Federal Reserve is expected to raise interest rates at a faster rate thanks to a pro-business President Trump, who is expected to give the American economy a huge boost. Manulife has a very strong U.S. segment, and the company will ride the tailwind of increasing interest rates for at least the next few years. Manulife also has an incredible Asian segment which is expected to grow by leaps and bounds as we head into 2017 and beyond. The company recently reported a very impressive Q4 2016 earnings report, and I believe this could the start of a sustained rally back to higher levels. Manulife released its Q4 2016 results this week. The company crushed analyst expectations by reporting a $0.63 EPS, which was $0.12 more than what was expected. This is a near 20% earnings beat! Manulife’s U.S. segment was a huge driver of profits for the quarter with core earnings hitting $471 million — way more than the $332 million reported over the same period last year. Manulife also announced that it will be increasing its dividend by two cents per share, or 11%. This is just one of the many annual dividend raises that long-term investors can expect as the company’s earnings soar over the next few years. If you’re a Canadian investor looking for a way to capitalize on increasing interest rates and a strengthening U.S. economy, then Manulife could be your best play for the next few years. Manulife’s Asian segment is growing very fast and could drive the stock into the atmosphere over the course of a few years. 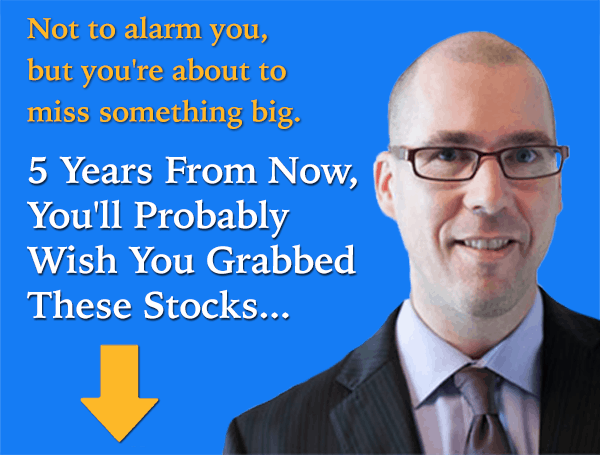 Many investors fear the Asian exposure, and I believe this fear is unwarranted. Sure, China isn’t the growth king anymore, but that’s no reason to fear Manulife’s Asian segment. The expansion into Asia opens many doors that could drive long-term value for shareholders, and any investor pessimism is nothing more than a fantastic buying opportunity for long-term investors looking for a growing dividend. The stock currently trades at a forward price-to-earnings multiple of 10.3, a 1.2 price-to-book multiple, and a 0.7 price-to-sales multiple. The stock is quite cheap based on these traditional valuation metrics, but when you consider the huge tailwinds like rising interest rates, a stronger U.S. economy, and a fast-growing Asian segment, the stock is an absolute steal at current levels. Manulife could be one of the biggest winners on the TSX this year. Buy the stock now and collect the 3% dividend yield or you’ll be kicking yourself later.